DESCRIPTION Peaceful valley living at its BEST! 156.9 Acres +/- EXCELLENT HORSE OPERATION nestled in a BEAUTIFUL VALLEY with MOUNTAIN VIEWS ready for you to take over! This property boasts an indoor riding arena, multiple horse barns with stalls, a triple garage and 3 separate houses. 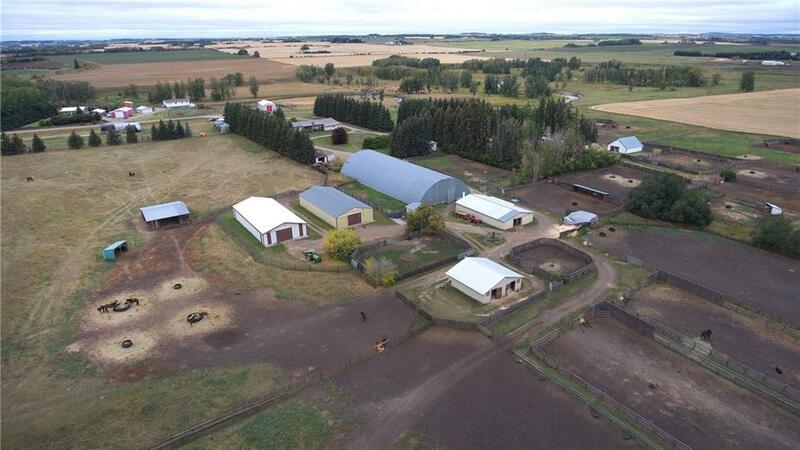 This property offers everything you need to run your horse farm including automated year round waterers, corrals, and panels. With loads of opportunity, this farm could easily be converted into a cattle operation. The balance of the property is 45 acres +/- in hay and aprox 40 acres +/- in barley/oats. Additionally there is monthly income on the property from an oil well. Home for sale at Rural Mountain View County, Alberts T0M 0W0. Description: The home at Rural Mountain View County, Alberta T0M 0W0 with the MLS® Number C4208284 is currently listed at $1,450,000.